MY CRITICISM AND COMMENTARY AND SUGGESTION AND CONSULTATION AND VOICE ON THE APEC SUMMIT 2014 AND ORGANIZATION AND MEMBERS. THE BLESSING OF LIGHTS OF GOD AND JESUS CHRIST AND HELP OF MOTHER MARY LIGHTS AND MIRACLES, LIGHTS AND BLESS THE APEC IN HIS MISSION AND OBJECTIVES FOR THE GAIN OF EQUALITY AND GOOD OF HIS MEMBERS TO GLOBALIZATIONS. 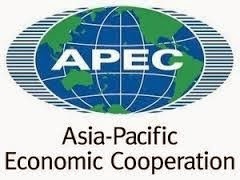 THE APEC HAS GOOD MISSION FOR EACH COUNTRY IN ECONOMIC TRADE TO GIVE SUSTAINABLE GROWTH OF ECONOMY IN THE REGION. THE GOOD INTEREST OF 21 COUNTRIES UNDER APEC SHOULD BENEFITED ALL THE PEOPLE UNDER THIS NATIONS AND NOT JUST THE BUSINESS GAINS AND INTEREST OF A CERTAIN COUNTRY. THE POLITICS AND ECONOMICS AND HUMAN RIGHTS SHOULD BE EQUALLY IMPLEMENTED FOR THE GOOD OF ALL. DEVELOPMENTS AND GROWTH OF EVERY NATIONS AND GOOD LIVING OF THE PEOPLE. THE SUPPORT OF PRODUCTION OF EVERY COUNTRY IN ANY CATEGORY THAT CAN GIVE OR EXPORTED AND IMPORTED AND INVEST IN PARTICULAR COUNTRY FOR DEVELOPMENT SHOULD BE EQUALLY GOVERNED AND IMPLEMENTED AND HUMAN RIGHTS OF EVERY NATIONS WILL NOT BE OPPRESSED AND ABUSED ON THE IMPLEMENTATION OF THE APEC BUT GAIN GOOD LIFE. THE BASIC RIGHTS OF STANDARDIZATION OF LIVING OF EVERY COUNTRY CONSTITUENTS SHOULD BE SUPPORTED BY THE APEC TO ACHIEVE IT BY EACH COUNTRY MEMBERS. IT IS NOT JUST THE BUSINESS OF FEW PEOPLE AND INTEREST OF A COUNTRY ARE BOOMING BUT ALL THE PEOPLE AND COUNTRY WILL AGAIN BENEFITS FROM IT FROM GOOD AND STANDARD LIVING AND HUMAN RIGHTS RESPECT AND EQUAL JUSTICE, ETC., ETC. EVERY COUNTRY HAS THEIR OWN POLITICAL LIMITS IN THEIR GOOD GOVERNANCE ALSO IN THEIR ECONOMIC SYSTEM. 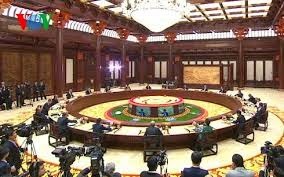 WE HOPE THE APEC HAS GOOD UNITY TO DEVELOP POLITICS AND ECONOMY OF EVERY COUNTRY IN THIS UNITY. THE RESULT EVERY BODY IS HAPPY AND LIVE IN GOOD LIFE AND THE COUNTRY WILL BE DEVELOP GENERALLY OF HAVING GOOD ECONOMY SUBDUING OUR REGION. WE HOPE IF THERE IS INVESTMENTS OF OTHER COUNTRY TO OTHER COUNTRY MEMBERS IT WILL GIVE ADEQUATE STANDARD LIVING AND HUMAN RIGHTS OF EVERY PERSON ARE NOT BE VIOLATED AND THE COUNTRY STILL BENEFITED AND NOT OPPRESSED AND ABUSED BY THE INVESTMENTS OR ANY STIPULATION IN THE APEC POLICY. WE HOPE THE POLICY AND LAW OF THE APEC WILL PROTECT EACH NATIONS HUMAN RIGHTS AND BASICALLY GIVE IT TO PEOPLE AND THE COUNTRY WILL BE DEVELOP IN ESTABLISHING BUSINESS AND ENGAGING IN BUSINESS AND NOT BECOME GARBAGE CAN OR SLAVES IN THEIR OWN COUNTRY. 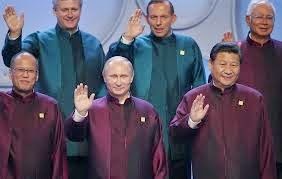 THE APEC WILL HELP MUCH IN EVERY NATIONS IF THE LEADERS WILL RESPECT HUMAN RIGHTS AND EVERY COUNTRY DEVELOPMENT AND ENVIRONMENTS AND PEOPLE ETC., ETC. 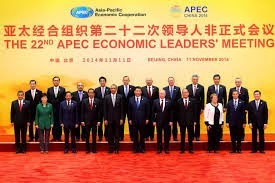 GOD AND JESUS CHRIST AND MOTHER MARY LIGHTS AND MIRACLES BLESS THE APEC MISSION TO GLOBALIZATION.